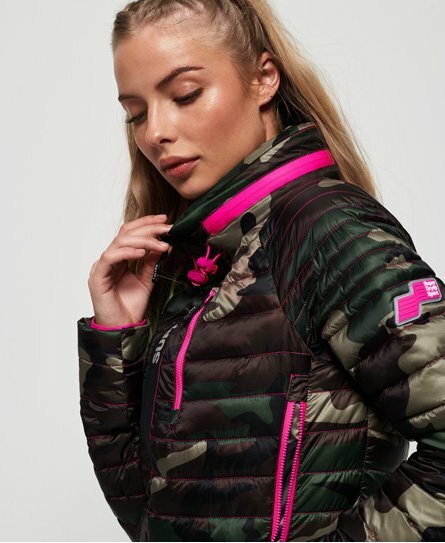 Superdry women's Power Pop camo jacket. Designed with thermal properties to keep you warm, this jacket features a main zip fastening, an adjustable fold away hood, two zip fastened front pockets and one on the chest. This lightweight jacket is finished with logo detailing on the main zip and a rubber Superdry logo on the sleeve.